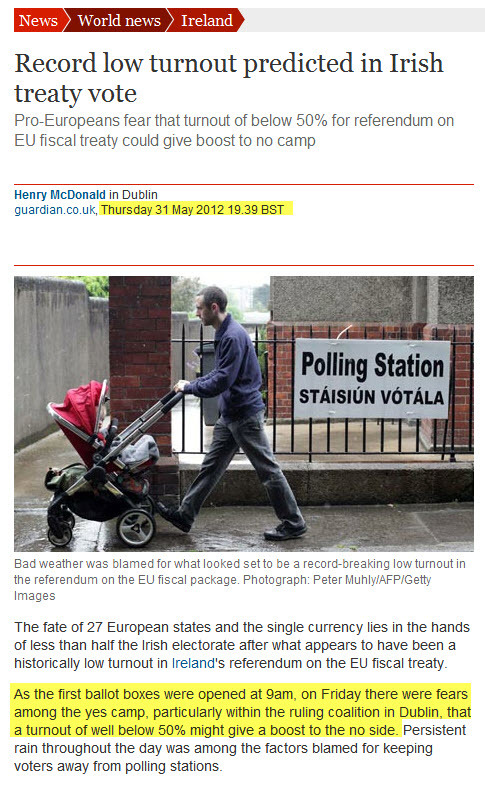 Time-travelling reporting with the Guardian – news 24 hours in advance! Oh well. Let us hope they are right and the NÍL side have it. But the turn-out in my local polling station this evening was self-evidently low, despite the traditional after-supper rush. You could hear the tumble-weed rolling. And what will the Golden Circle make of that, TÁ or NÍL? Prepare for the spin-cycle, a chairde.